Do you have a cabin or tiny home that has electricity, but lacks running water? Water is important for a lot of creature comforts like washing dishes and bathing. If you are someone who likes to shower, then maybe a DIY outdoor shower is something to consider. 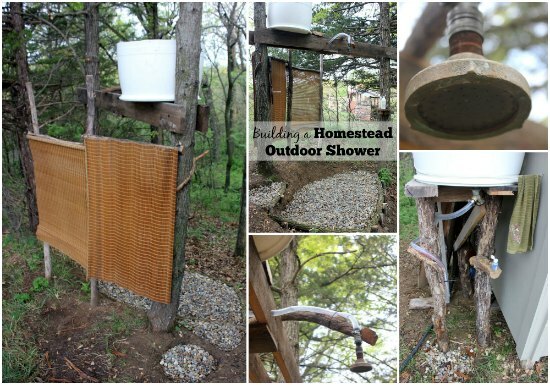 Making a simple DIY outdoor shower is not difficult to do. There are a lot of ways to set up showers to use outdoors. You have the option to use gray water or water from a rain barrel. The one thing that will be important is where to set it up. You may not want it to too far from your house. A bucket with some plumbing attachments is all you need to make a DIY outdoor shower. Add a chain to pull for water and you will be all set. You could even go a step further and make a water container that is heated by the sun.